Anne Brontë was an English novelist and the youngest of the three Brontë sisters whose novels have become classics of English literature: Anne's Agnes Grey, Charlotte's Jane Eyre, and Emily's Wuthering Heights. To get around the prejudice in their day against female writers, the sisters at first published under pseudonyms. They kept their initials the same: Charlotte became Currer Bell, Anne became Acton Bell, and Emily became Ellis Bell. Agnes Grey was published soon after Charlotte's Jane Eyre appeared, as the third volume of a set whose first two volumes were Emily's Wuthering Heights. Anne's second and last novel, The Tenant of Wildfell Hall, was published in 1848 shortly before the death of Emily. Agnes Grey is Anne Bronte's story about a governess, similar to her sister's work Jane Eyre in that both novels explore the social issues that a Victorian governess not only observes but becomes involved with. Agnes Grey was Anne's first novel. FCIT. "Anne Brontë author page." Lit2Go ETC. Web. 24 April 2019. <https://etc.usf.edu/lit2go/authors/218/anne-bronte/>. 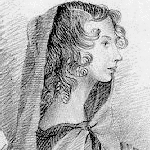 FCIT, "Anne Brontë author page." Accessed April 24, 2019. https://etc.usf.edu/lit2go/authors/218/anne-bronte/.